ISME's leadership team are at The NAMM Show in Anaheim, California planning for the future and meeting key industry people. 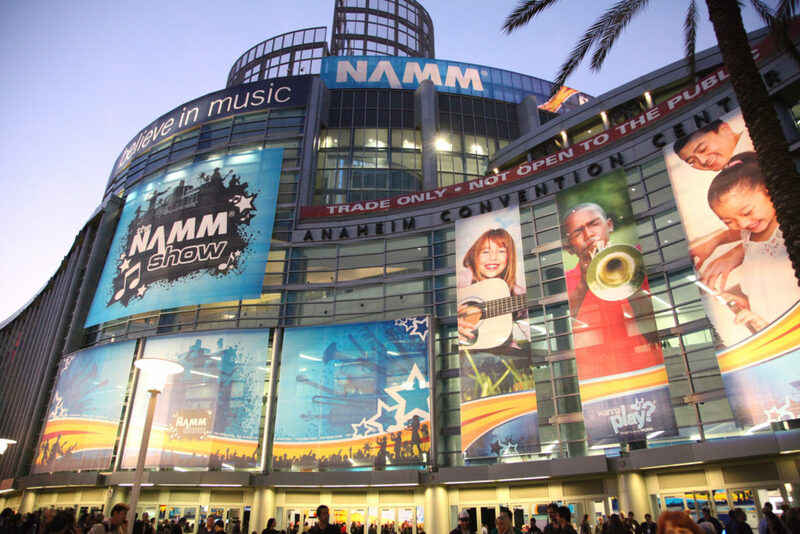 NAMM, the National Association of Music Merchants, was established in 1901 and is a not-for-profit association that supports the $17 billion global music, sound and event technology products industry. NAMM hosts one of the largest global music industry annual conferences, providing leadership and education for professionals and practitioners seeking innovations in music, technology and education. NAMM promotes music making for all people of all ages to create a more musical world. Helpful resources for music education advocacy can be found on the NAMM Foundation website. The NAMM Foundation is one of ISME longest standing partners and their support helps contribute funds to ISME regional conferences and they support the ISME-NAMM grant awards. The ISME team is Susan O'Neill, President, ISME; Lee Higgins, Past President, ISME; Emily Akuno, President Elect, ISME; Angela Ruggles, CEO, ISME; and Ian Harvey, Finance Officer, ISME. They are planning ISME activities including preparing for the 34th World Conference in Helsinki, the pre-conference seminars and the six year strategic plan. The ISME leadership team has now been at the NAMM Show for 3 days and a lot of really useful meetings and discussions have taken place. President Susan O’Neill spoke at the Wednesday morning International Coalitions meeting - a gathering of members of the musical instrument manufacturers and retailers associations from many different countries. Susan announced to them the successful projects being funded under the ISME-NAMM grants programme. The NAMM Foundation was thrilled to hear the details of the projects and Mary Luehrsen, Executive Director of the NAMM Foundation, expressed an interest in visiting some of the projects. The Presidents had meetings with representatives from China, Russia and Frankfurt with a view to developing music education sessions at the NAMM conferences in those countries; Susan and Emily attended a Smart Women in Music meeting; Emily was interviewed for the NAMM Oral Histories project; and several really useful conversations were had which have tied ISME firmly into the NAMM family - a very positive step for the future. In addition the three Presidents, the Chief Executive and the Finance Officer have had several meetings discussing important future plans for ISME - including the development of the process for the new ISME 6-Year Strategic Plan; hugely encouraging proposals as part of the promised review of membership fees; and plans for some interesting and exciting sessions at the 2020 World Conference. The team will spend the remainder of the NAMM Show making more connections with NAMM and other potential partners. Watch out for communications to members over the coming months as a result of these conversations. Check out the gallery below to see who the ISME team has been meeting. Thanks to NAMM for hosting ISME at the show. Their support is much valued. If you want to see moer about what happened with the NAMM Foundation at the NAMM show check out this gallery on Facebook.